Husskison. We arrived on Saturday morning. The first beach I caught a glimpse of made me verbally sigh. This is Australia at it’s best and the nearest thing to heaven. 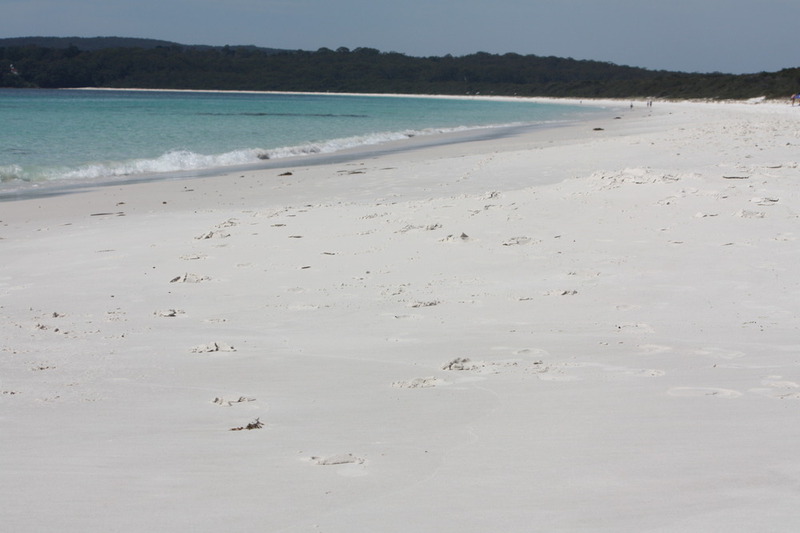 We walked on white sand and felt the powder slip through our hot toes….all to the sound of gentle waves and birdsong. We found our pre-booked cabin….literally on the doorstep of the Pacific. Wow. At 7.30 on Sunday morning I heard Claire’s footsteps in the kitchen. 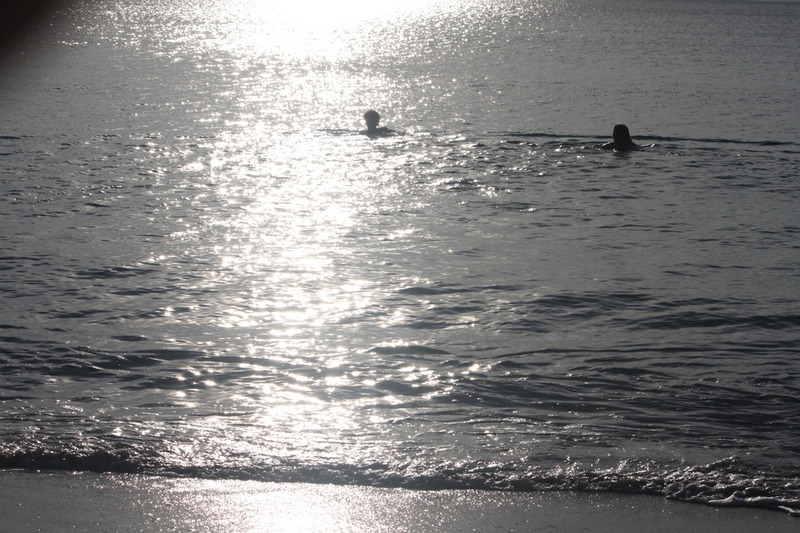 By 8am we were in the already sundrenched ocean, where water wrapped our sleepy bodies with a refreshing chill. The sunrise was like an inverted pyramid andshimmered on the surface of the sea. Almost touching us….and we swam towards it’s peak even though PB was alerting is to the potential shark attack! After a delicious home made (semi-healthy!) breakfast we set off for Hyam’s famous beach….voted as one of the top five in Oz. It was breathtaking. We bathed again, and walked and rested in the morning sun.